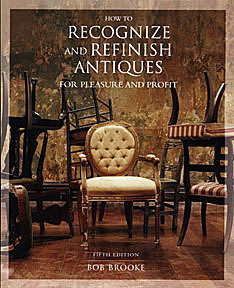 Here you'll find news articles from the world of antiques. NEW YORK – Christie’s New York put a pretty special lot on the auction block Thursday evening—an historically significant watch owned by a baseball legend. A highlight of the auction house’s “An Evening of Exceptional Watches” sale was Joe DiMaggio’s Patek Phillipe Ref. 130, a watch he owned for more than 50 years, which sold for $281,250, including buyer’s premium. Its hammer price put it right in its pre-sale estimate range of $150,000 to $300,000. The Ref. 130 was the first chronograph to be given a reference number. Patek Phillipe launched it in 1934 and produced it until the 1960s. The 18-karat gold chronograph wristwatch features applied gold Breguet numerals set against a silvered dial. The DiMaggio Ref. 130 sold at Christie’s also had with what the auction house thought could be its original strap, likely the one worn by the baseball player himself. DiMaggio is regarded as one of the most legendary players to ever wear the blue-and-white pinstripes of the New York Yankees. He set a record in 1941 when he went on a 56-game hitting streak, and he won nine World Series titles during his 13 years with the New York Yankees from 1936 to 1951. He served for three years as a sergeant in the Army Air Corps during WWII. Following his retirement in 1951, DiMaggio was married to Marilyn Monroe briefly. He was elected to the Baseball Hall of Fame in 1955. Details around the original purchase of the Hall-of-Famer’s Patek Philippe Ref. 130 aren’t clear, but some believe that the owners of the New York Yankees gave the timepiece to DiMaggio. He acquired it in 1948 and kept it until his death in 1999. The watch went to auction in 2006 at Hunt Auctions as part of the Joe DiMaggio Auction and had been in a private collection ever since. It also was one of the highlights of the Patek Philippe Grand Exhibition held in New York this year. Learn more about Christie's New York auctions. This article was originally published on National Jeweler.